We have an extensive selection of fireplaces to suit all sizes, tastes and budgets. Available in a large range of wood colour options, and are manufactured in Solid Wood or MDF veneer. Marble/ or Granite Back Panels and Hearths can be obtained to complete your beautiful new fireplace. Be-Modern, Elgin and Hall, and Trent Fireplaces all have beautiful ranges – Contact us today on 01903 239709 and we can find the perfect fireplace to suit your needs. 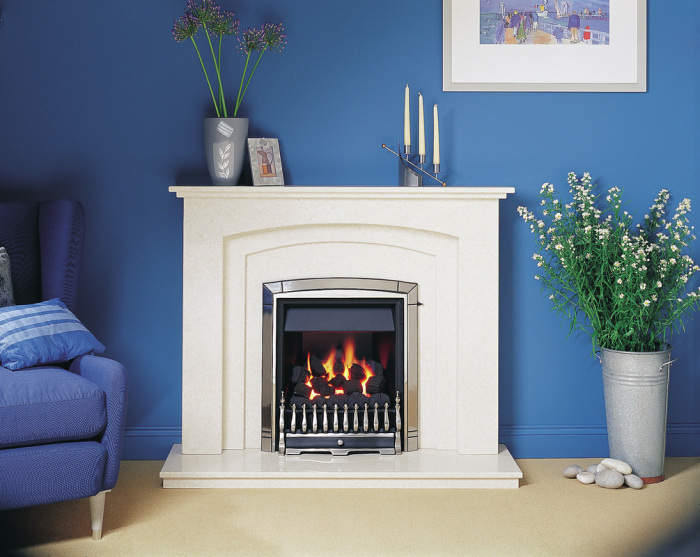 Full marble fireplaces are available in a large range of colours, generally made to order. Made to measure back panels and hearths are also available in a large selection of colour options to complete the look. For that traditional look, why not install a cast back panel? All are suitable for solid fuel burning. Alternatively you can chose a gas convector fire or decorative fuel effect fire to be installed into these beautifully manufactured cast inserts. We deal with Cast-tec for cast inserts and their Integra collection.